The future of investing begins here. More choices, more deliberate strategies, more impact-driven investments. A future where responsibility and investing intersect. 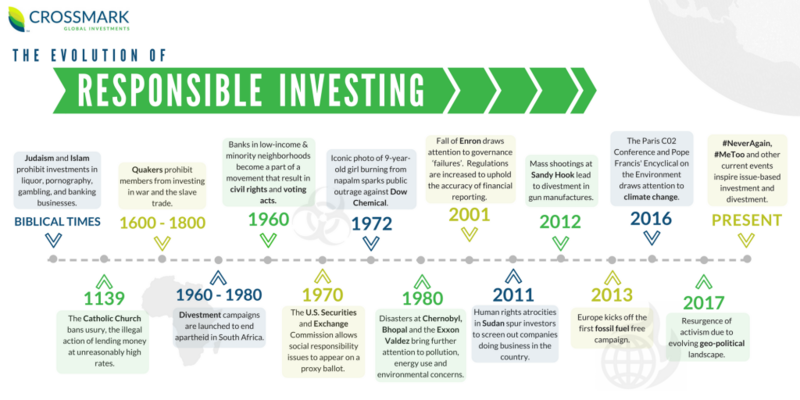 Responsible Investing is a values-based approach to investing that aims to incorporate either socially responsible, faith-based screening, Environmental, Social, Governance (ESG) integration, or impact investing while aiming for sustainable, long-term financial return. See our archive of perspectives on what’s shaping the world today and tomorrow.